Looking for a new pasta recipe to impress the family? 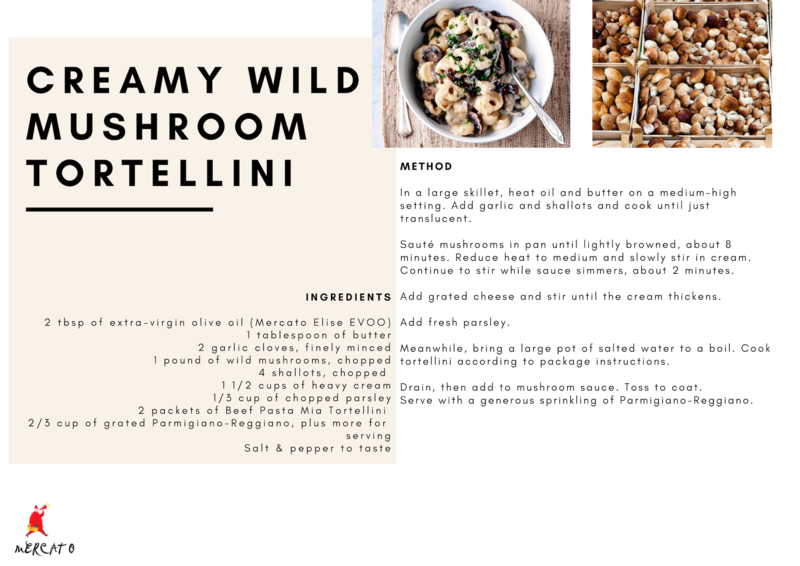 This warm, creamy dish stars Italy’s famed Parmigiano-Reggiano, earthy mushrooms and Tortellini. In a large skillet, heat oil and butter on a medium-high setting. Add garlic and shallots and cook until just translucent. Sauté mushrooms in pan until lightly browned, about 8 minutes. Reduce heat to medium and slowly stir in cream. Continue to stir while sauce simmers, about 2 minutes. Add grated cheese and stir until the cream thickens. Add fresh parsley. Meanwhile, bring a large pot of salted water to a boil. Cook tortellini according to package instructions. Drain, then add to mushroom sauce. Toss to coat. Serve with a generous sprinkling of Parmigiano-Reggiano.